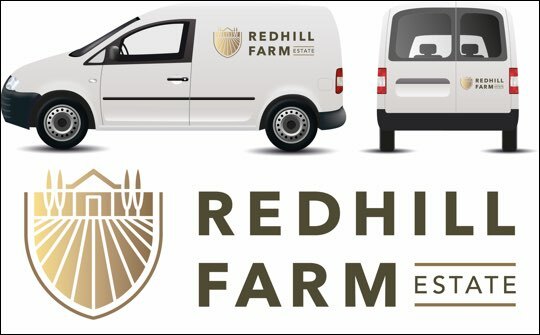 A London design agency, Precipice Design, has created the identity and label designs for a new English wine brand, Redhill Farm Estate. The new ‘shield’ brand marque features the main estate building. The label designs couple both traditional and contemporary visual codes, with fine touches of UV diagonal pattern subtly echoing the vine layout. The work has been rolled out across the website and corporate livery as well as the wines. Redhill Farm Estate in the village of Wateringbury, Kent. Its first releases are a rosé wine from 100% Rondo, granted PDO certification, and a soon to be bottled Bacchus. The 2015 sparkling wine will follow in December this year on allocation only from September. Both the still and sparking are available online at redhillestate.com.